You’re sly and have a natural instinct for danger and concern…particularly when it comes to the safety of your kids. You have eyes in the back of your head. You possess a near super power close to Spider Man’s “spidey sense” and you when trouble is looming. You’re vigilant and aggressive when it comes to the security of your child or children. Nothing will stop the Ninja Parent! Or…you’re just overly concerned and crowding that poor kid so that he or she will never have the opportunity to grow and experience life on their own until they’re 20 years old and they finally find the nerve to keep you at more than an arm’s distance apart. Well then, if you don’t have a GPS watch for your kids by now then you’re really missing out on the boat. No matter how super of a parent that you are, if you’re denying today’s technology from giving you an edge on the enemy then you’re missing the boat. We use GPS to track everything now, from cars to mail and, yes, even people. Some we track for security of ourselves and others we track for their safety and our peace of mind. 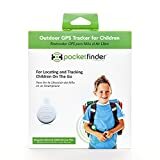 It may be hard to imagine right now but there is a huge difference in having a lead on an area of a when and where a child was last seen and KNOWING THEY’RE PRECISE LOCATION at all times with GPS monitoring. The huge difference can be life or death. 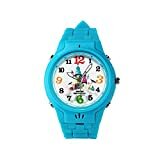 We’ve done our best at My Kids Geo to review a lot of the most popular GPS watches for kids but there is a common thread that we notice in all of our research on forums and in the Amazon reviews for these products: A lot of people are NOT HAPPY with them. That’s because we will never be fully happy with anything that is responsible, or partly responsible for the safety of our children. Let’s face it; none of us are probably Liam Neeson from Taken or Denzel Washington from Man on Fire. When something happens to our child, like an abduction or being in the wrong area, then we panic. 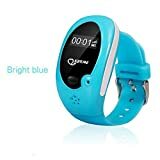 A GPS watch for your child will at least give you the ability to pinpoint their location and help authorities in helping get your child back home to you safely. This is one of the reasons why you’ll probably never see us review a product that IS OBVIOUSLY a GPS tracker. We want the bad guys to have no idea that the child is being tracked. 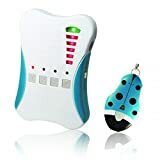 We review small fobs, key chains, or wrist watches that have GPS capability in order to keep your child’s tracking a secret from the abductors. In our opinion, there’s no sense in having a GPS tracking device on your child if the person who takes them is aware of it because they’ll be able to simply get rid of it. Stay with us and we’ll ensure that your child is as safe as any of these products can make them. And we’ll try to keep you sane and not in a worried state of mind every time your child leaves your house. My Kids Geo is a participant in the Amazon Services LLC Associates Program, an affiliate advertising program designed to provide a means for sites to earn advertising fees by advertising and linking to Amazon.com.